Honley High Secondary School in Holmfirth has received a whopping £2,000 donation from PK Education. The donation from PK’s Leeds branch will be used by the school to fund equipment and events for its PE department. PK Education has worked closely with the school for seven years to help them meet their staffing needs. 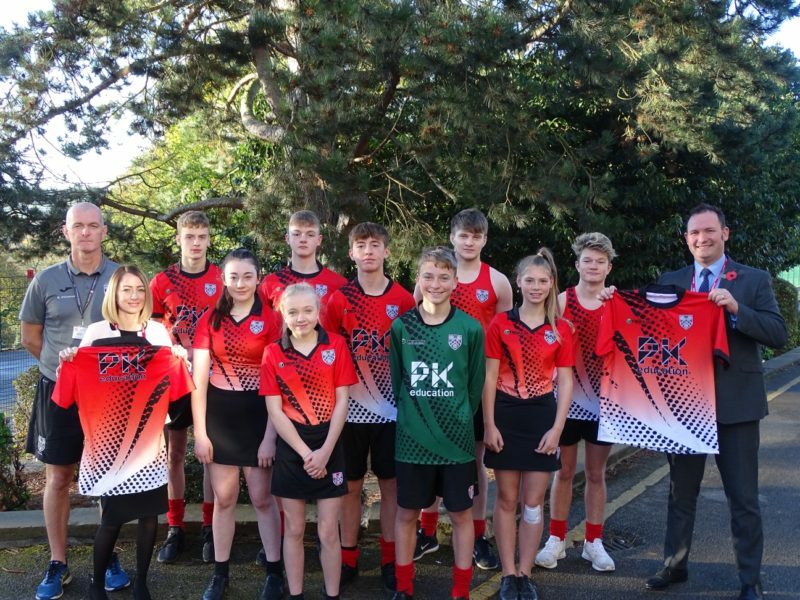 Now, PK is helping the school’s rugby, football, netball and athletics teams stand out from the crowd when they’re competing with the donation of full team kits. The school’s rugby, football, netball and athletic teams now boast full team kits paid for by the donation. It will also be used to pay for travel and transport for pupils taking part in the England Golf Schools Team Championship at the renowned Woodhall Spa Golf Club. In 2016, Honley High qualified for the England Golf School Nationals. Neil Waddington, Business Development Manager at PK Education’s Leeds office, added: “We are delighted to support Honley High. We have worked with the school for a number of years so know the far-reaching benefits that this money will make to supporting the development of extra-curricular activities for so many pupils. PK Education supplies teachers, cover supervisors and classroom assistants to primary secondary and SEN schools as well as alternative education providers including Pupil Referral Units and hospital schools.